Are you keeping up? Don’t let yourself get too far behind. If you do, just jump back in. Your enemy does NOT want you to stick to this…but it’s SO worth it. 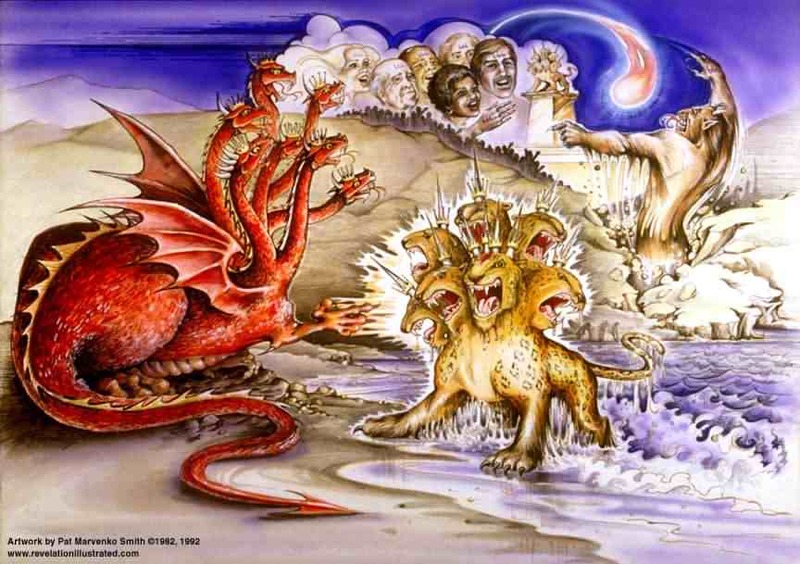 On the surface, it might be confusing why God would not want them to be able to do anything if unified. But, it’s interesting they used man-made materials (bricks and tar) rather than natural (God-made) materials. Does this tell us something about their hearts and their motivation. They were trying to make a city and a name for themselves. I think it’s important to note that we are able to do anything if we are unified. This is a message for the church today! But, not to make a name for ourselves, but always for the glory of God and the building of His kingdom. In Matthew today, we have one of Jesus’ most famous sermons, the sermon on the mount. “The Sermon on the Mount is probably the best-known part of the teaching of Jesus, though arguably it is the least understood, and certainly it is the least obeyed” says author John Stott. There’s also a good reminder for us as Christians in today’s reading. We are to be the salt and light of the earth. If we lose our “flavor”, what good are we? 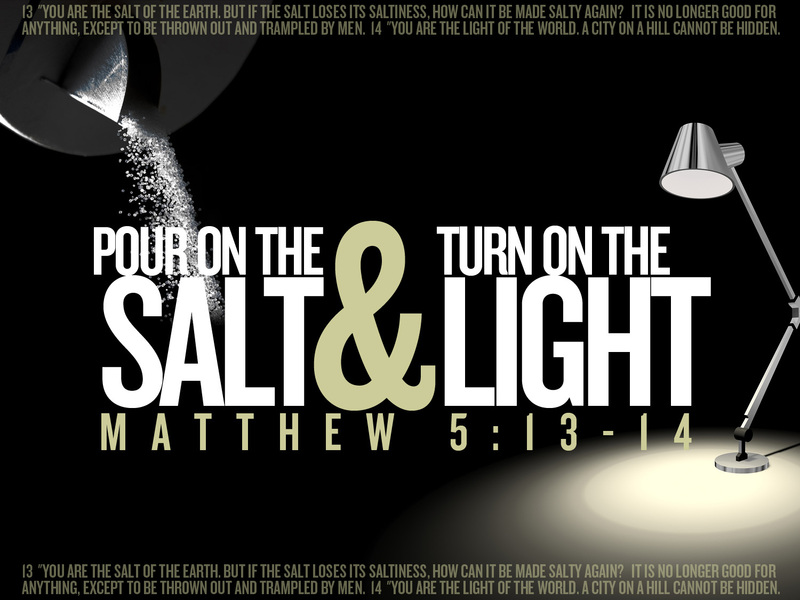 Let’s be salt and light today. I am amazed by the story of Noah. It’s so hard to take it in. How bittersweet it must have felt for Noah to realize that God honored him above all others and saved only he and his family to restart mankind. In Matthew, Jesus just had the encounter with satan in the wilderness and now is preparing to begin his ministry on earth. Today’s Psalm is actually a song written by David. I sure wish I had the chord chart! Keep reading along. We’re going through the entire Bible in a year! Today’s reading in Genesis might seem dry. However, it establishes a very important heritage – from Adam to Noah. This is important historical data that helps prove the validity of the scripture. Matthew’s reading introduces John the Baptist. Can you imagine being alive back then and seeing John baptize Jesus? By the way – Proverbs are full of tidbits and treasures of wisdom. I love reading through Proverbs each day. Keep up with the reading – we’re going to read the entire Bible in a year! Did you see it? God never said anything about “touching” the fruit. Already she is twisting what God said. And, she falls for the serpent’s deceit. Buckle in – we’re just getting started. Are you with us? We’re reading the entire Bible in a year. The thing always blows my mind when I read Genesis 1 is the power and majesty of our God! When you stop to think about all the incredible detail and amazing vastness and unbelievable tenuity of what God did – all in 6 days?! Boom. Mind blown. And, in Matthew 1 – I love the fact that Joseph was a kind man and even though his wife-to-be was suddenly pregnant, and she was telling him some unbelievable story about how she got pregnant, he did not wish to disgrace her. But, an angel came in a dream and explained everything. He had trust in God to accept the potential risk of reputation to stay with God’s plan. And look how he was blessed. Can you imagine raising a child you knew was the son of God? Boom. There it goes again. Mind blown. Hope you’re reading the Bible in a year along with us! You won’t regret it. I’m thrilled that our church (First Christian Church of Seminole) is taking a journey together. We’re going to travel the original Route 66 – that is the 66 books of the Bible together. Beginning January 1, 2013, we’re all going to read through the Bible in a year using a One Year Bible reading plan. I believe this is one of the most important things we can do as individuals and as churches. It’s also one of the most difficult things to do, too. Our enemy does not want us to each get into the habit of daily Bible reading. He will stop at nothing to distract us, discourage us, or dissuade us from reading God’s Word every day. But, when we do… LOOK OUT! It will change your Christian walk. Putting a little effort into reading the Bible every day will change your life. And, it only takes about 15-20 minutes a day. Talk about ROI (return on investment)! So – put away those excuses, cast aside your fears, buckle in and join us as we read through the Bible in year – TOGETHER! Goliath never stood a chance. I mean, what 9 foot tall, heavily armored, highly skilled warrior stands a chance against a teen-ager in a robe with a sling-shot and the power of God almighty? David has confidence in the Lord. He trusts that God would not allow this Philly giant to mock God or His chosen people. He remembers how God helped him slay the bear and the lion by hand when they tried to take his sheep. Now he has the king’s attention. Now, his brothers and his father have a new respect. Now, the entire nation of Israel know who he is – not that he was seeking that, but he was seeking to glorify God. As a result, he is now honored because he saved his people. What giants do you face? There are things I struggle with that seem like giants. They mock me when I let my guard down. They seem insurmountable when I think of how “I” am going to solve them. But, if I realize who I am and who has my back, there is no need to hesitate or worry. I can run to the battle line and deal with them. 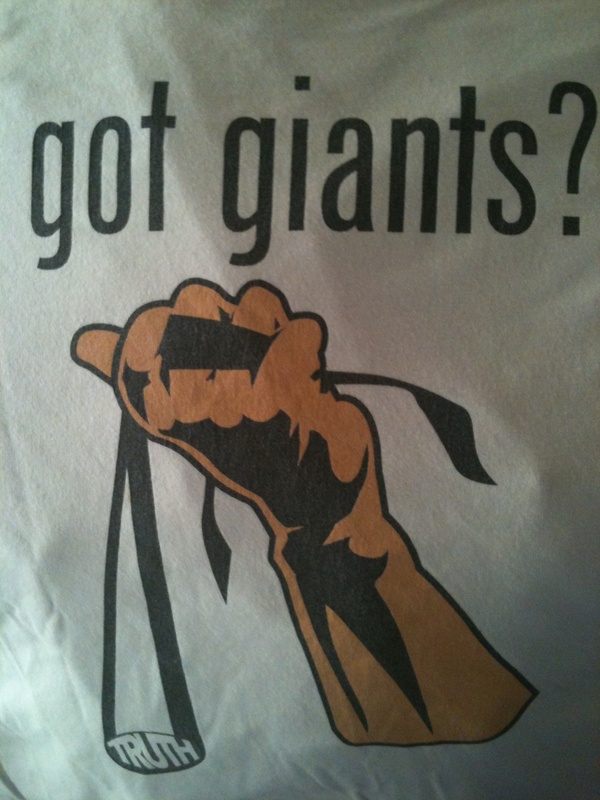 Not only will the giants be slain, but as I battle the giants in the name of God, I will be blessed and honored.